"Digital retailing, for it to work, requires a culture shift that not all dealers are ready for," says Jeremy Alicandri of Maryann Keller & Advisors, an automotive consultancy. Artificial intelligence technology, however, can be used "right now." The online transaction has been part of auto retail's grand vision for years, but the digital retailing evolution has been slow moving. In comparison, dealerships' use of artificial intelligence is happening at a much faster pace, and AI technology could become more broadly adopted first, retail experts say. "Digital retailing, for it to work, requires a culture shift that not all dealers are ready for," said Jeremy Alicandri, managing director at automotive consultancy Maryann Keller & Advisors. AI tools, however, are more plug and play, making their use an easier shift for dealership staff. To be clear, it's not an either-or prospect. Dealerships are simultaneously pursuing both. So far, digital retailing is most successful for stores that embrace technology and train their staff on how to use it, Alicandri said. Many dealerships, such as those that don't publish vehicle pricing online, must do a lot of heavy lifting operationally to prepare for digital retailing. But AI technology can be implemented more quickly. "You can use it right now; every dealership has used-vehicle inventory. If there's a way to make that better, they can use it now," he said. 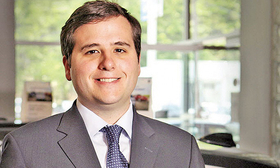 "Every dealership has a website; [dealers] can use AI to make that more efficient right now." That said, some dealers may not be willing or equipped to digest the details and inner workings of AI. "In some ways, talking about AI will make their eyes glaze over unless you make it tangible and realistic to them," said Tom Gage, chief strategy officer at digital marketing vendor LotLinx. 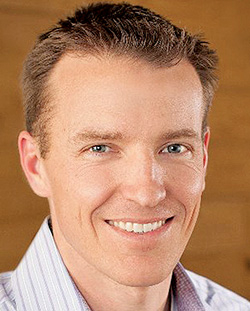 Talking too much about technology in general can be overwhelming, LotLinx CEO Len Short added. "In all the noise of digital, we talk about the sales strategy, inventory, where they are having challenges," he said. "The technology creates the result, and then we talk results." AI technology is also more passive than digital retailing, said Ryan Soffa, executive vice president of business development for consultancy Motormindz. "The [tools] are easier to implement and don't involve a major process change," Soffa said. "That's going to be the difference between the two and which one gets adopted completely faster." Motormindz COO Chris Glenn said AI tends to run in the background, potentially unnoticed by employees at first. "A lot of AI that's in solutions right now is somewhat invisible to dealership staff," Glenn said. "They don't really know what's happening, but it's happening. It's happening in the background." Chad Bockius, CEO of inventory management vendor CarStory, said dealers will see the fastest adoption when technology enhances existing business practices to give dealers more accurate data, rather than adding a new process. "Adoption can be much faster because it doesn't have to change the dealer's business process," he said.